After the Christmas decorations were removed from the foyer, I changed up the top of my chest a little bit. I wanted to keep some greenery in there to warm up the space since the room is so white with a high ceiling. In the summer, I get a little bit more shade with the leaves on the trees, but in the winter, the sun is much stronger. So I actually kept some of my Christmas greenery, which is really just faux cypress, in a container. Without the lights and glitter of Christmas, it's just plain greenery. I think it's perfect for the winter time too. I also reused a candle, that I crafted during the holidays, under a cloche. The lamp and the picture remained the same. So now I have some contrast against the white walls in here without using a lot of color. I'm loving this time of year with the cool crisp air and the warm sunshine streaming in the windows. But, I must admit, I'm excited for Spring to get here too. We have had a much colder winter this year than we're used to. Very nice!! I have kept a lot of greenery up as well. What real plants I have I had cut back before bringing them inside. Can't wait to haul them all back out to the gazebo soon!! Very pretty and I love the mirror on the wall! Your entry way looks wonderfully Nordic! I am loving the weather right now, sunny without the humidity. I look forward to all the flowers in spring! Very pretty Kelly. lad to know I am not the only one recycling the winter greenery :) I also kept up some of the dried magnolia branches and pine. I luv the dark faded green against the otherwise crisp white walls. Says winter to me. Very pretty Kelly...I LOVE that mirror!! Oh Kelly, I think that looks great!!! The greenery looks great in your entry. Perfect for winter. I too am looking forward to spring. The greenery looks great. I am absolutely loving your french tarnished mirror on the wall - gorgeous! I am so anxious for Spring to get here. I am ready. 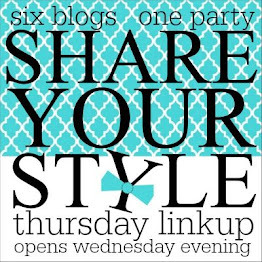 I always feel so inspired when I visit your blog. Makes me want to go out in my yoga pants and ponytail no make up to whatever the nearest dept store to look for home decor. Thanks for always keeping me inspired. What a welcoming entry. I love the runner, the greenery and the cloche. 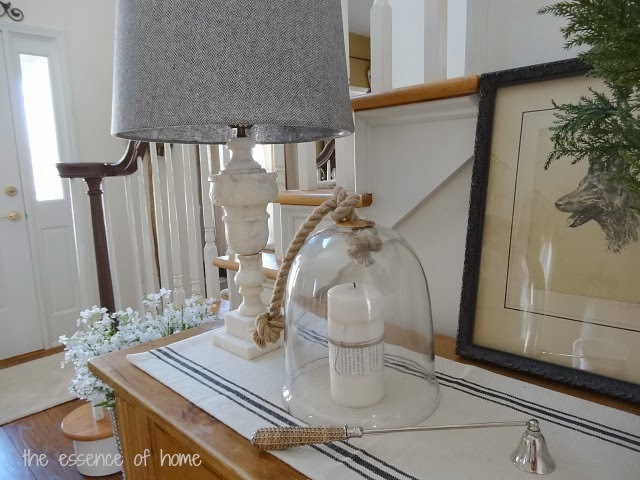 I just bought a little cloche, but with our 7 month old puppy running around all the time, I don't know where to put it where it will definitely not be bumped. Love the entire vignette, Kelly. The greenery breaks up the neutral tones in a beautiful way. I'm loving keeping greens out for the winter too. They add so much warmth wherever they're placed. 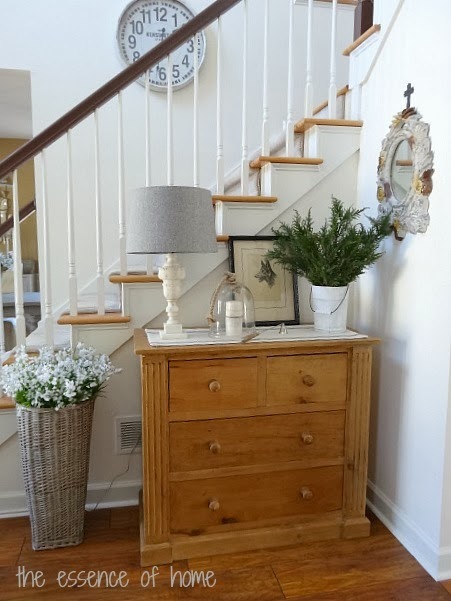 Your foyer looks so welcoming! I need to find some greenery. You have again, given me some new ideas for my home. Simple can be so elegant. SO pretty! 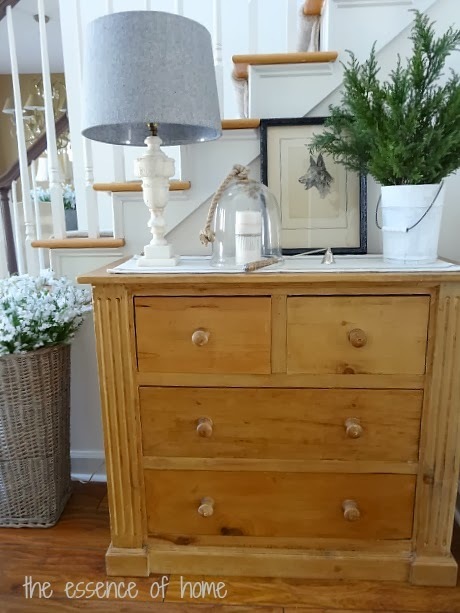 I just adore your pine chest and the mirror hung to the side is beautiful too! Love the touch of greenery, and I love the bucket it's in, too! Looks great, Kelly! Guess what? I was in Walmart today, walked through the lamp section, and voila! There it was the floor lamp. I scooped it up!!!! I LOVE it!!!! Thanks so much. Good things happen for those who wait. LOL! Very pretty...it looks great!! I'm so ready for Spring. We've had the snowiest winter on record in 20 years...and more is expected tonight and this weekend...plus temps below zero! 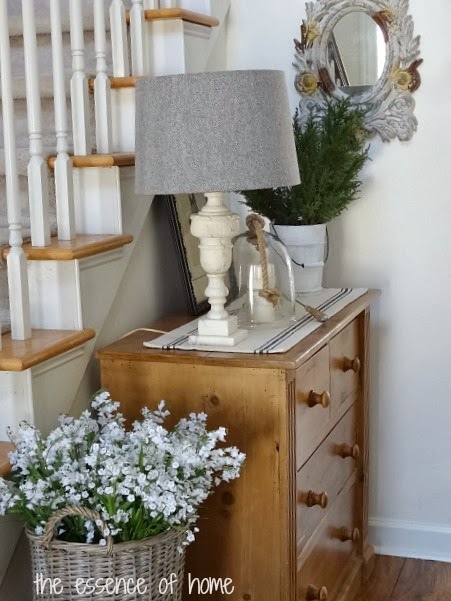 The greens add a nice pop of texture and color to your foyer, Kelly. I think maybe that's what's missing in my house. I'm not good at keeping indoor plants alive, but I think I could manage faux! Your greenery looks so beautiful Kelly. I love how you decorated your foyer. 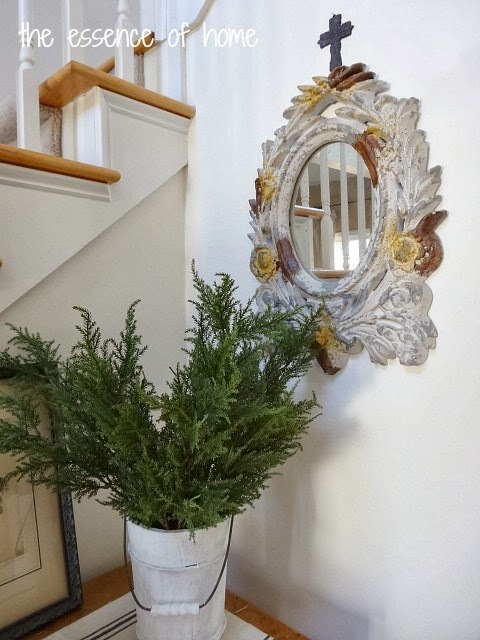 Your cypress looks great in that spot and I love the mirror above it. I'm excited to have lighter walls now too. It's going to be much easier to decorate with neutral walls. I'll post pics soon. Hope you have a wonderful week! It looks so fresh and pretty. Love that killer mirror too in the hall. It all looks great. Kelly I love what you have done and that mirror is fantastic as well as the basket filled with flowers! I love that mirror Kelly!!! awesome! Beautiful - every last inch! I'm so over winter and ready for Spring. Snow I could totally live without and we are getting way too much of it this year. A perfect winter vignette! Greenery adds such life to a room. I can't wait for spring, either. That beginning part of spring is always so sloppy here with melting snow and mud, hard to keep things clean, but it will be nice when it dries up and it's not 10 below zero for sure!